Recently, the Torah world commemorated the first yahrzeit of HaRav HaGaon Rav Aharon Leib Shteinman, zt’l. Upon the shloshim of his passing, there were hundreds of gatherings held around the world at which the leading gedolim of our day attempted to give a glimpse of the incredible life and accomplishments of this great Torah giant who had lived among us. Having been afforded the opportunity to share my own thoughts and reflections about my relationship with this great gadol, with whom I had the z’chus to meet many times over the last 25 years, I shared only one personal thought though I spoke in three different venues. I explained that I am totally inadequate to even attempt to describe his greatness in Torah, in chesed, or in the world of kedushah, but there is one small thing I think about each day that I can share. The readers of this fine newspaper know of the beginnings of Ohel Sarala, which was introduced in these very pages about 28 months ago, as I wrote about an initiative to help singles struggling to find a spouse as well as couples dealing with the pain and frustration of infertility. In a very brief encounter between the rosh yeshiva and his friend, Rabbi Shlomo Bochner of Bonei Olam, Rav Aharon Leib shared his thoughts that by each group davening for each other, they can help each other achieve their respective yeshuos. When Rabbi Bochner shared this idea with me from the saintly rosh yeshiva, I knew that this was the very thing that my wife and I were looking for to help perpetuate the memory of our beloved daughter Sarala, z’l, and to bring z’chusim to her neshamah. Together with Bonei Olam, we launched the tefillah initiative called Ohel Sarala. At the time of the shloshim, we had achieved staggering success with this initiative; at that time, we had already celebrated more than 100 engagements/marriages and over 65 babies born. My point was that it is virtually impossible to contemplate the colossal successes of Rav Aharon Leib in spreading Torah and chizuk to Yidden throughout the world; however, this was just one small idea that was expressed in a short, private conversation with Reb Shlomo, yet look at the incredible success of this one initiative that came from his pure neshamah and heartfelt pain for so many Yidden struggling in these two areas. I concluded that I have no doubt that in the z’chus of the rosh yeshiva, this initiative, shaped and molded upon his suggestion, will see continued success. Not in my wildest dreams did I envision exactly what that would mean, but those words proved prophetic. Now one year later, that success has indeed spread to the opposite end of the world. It’s not just the new numbers of over 320 engagements/marriages and more than 130 babies born (many more are not yet documented) that are b’H overwhelming; even more so it is the length and breadth of the Ohel Sarala initiative that has taken the world by storm that is incomprehensible. What started out as a small local initiative quickly spread throughout the tri-state area. This past September, an Ohel Sarala evening of chizuk took place in Toronto in conjunction with an incredible local organization called the T.S.I., which focuses on the significant shidduch crisis today. 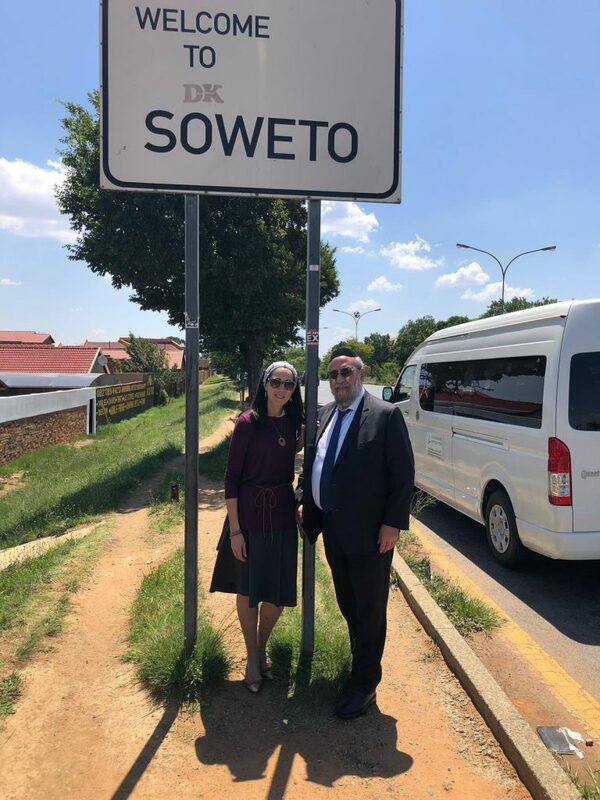 And then after several months of planning and discussions, my wife and I returned last week from spending a week in South Africa where the Ohel Sarala initiative started a new chapter in conjunction with the Jewish community in Johannesburg. Sometime after Pesach last year, we received an e-mail from the Malka Ella Foundation that is based in South Africa. This organization was started by an absolutely incredible couple, Saul and Suzanne Sackstein, who, after experiencing their own challenges with infertility over a few years (they are B’H now the parents of a beautiful family), decided to create an infrastructure to help other families with similar struggles tap into the multiple services that this organization provides. It works exclusively with top fertility specialists in the city, and also provides complete funding for the treatments (when needed) along with consultation with the local poskim and mental-health professionals to assist the couples during the process. The organization began to grow when another incredible person, Kate Gershuni, undertook to help build up this organization to what it is today. The best way to describe the foundation is that it is “the Bonei Olam of South Africa” and much more. Suzanne and Kate reached out to us after reading about Ohel Sarala in Mishpacha Magazine. They were focused on starting Ohel Sarala in South Africa. After much cajoling and even more discussion, we agreed to go and help launch this initiative on the opposite end of the world. Not knowing what to expect, it was an absolutely incredible experience. Not only did we meet incredible and dedicated people who devote their lives to other Yidden in need, but they also do so in the most sensitive and tzniusdik manner. We planned on being there for six days, so they prepared a full plate of things for us to do and filled my speaking schedule with 13 different appearances. While it seemed a bit much at first, the opportunity to meet wonderful Yidden from the different communities and to go from a shiur at the kollel to a discussion about life’s challenges with a completely non-affiliated audience afforded me the opportunity to see firsthand how connected we really all are to each other, despite the 16-hour flight distance to get there. Our challenges are the same, our concerns for our future and the future of our children are the same, and the deep desire to grow as Yidden and to help our communities grow are the same as well. The highlight of the trip was the main event, held on Thursday night, which featured the launch of the South Africa chapter of Ohel Sarala. The day before the event, a new venue had to be found as an anticipated crowd of 100 women quickly grew into 250 women from a cross-section of the community. I shared with everyone how this initiative first began at the suggestion of Rav Aharon Leib and how we have seen incredible numbers of singles and couples all working together to bring their respective yeshuos to each of them. It was an intense and emotional evening for all those participating, and brought much-needed comfort and chizuk to so many. We talked about the incredible koach of davening for others, and many were so moved that they signed up later that evening to be a part of the Ohel Sarala initiative. 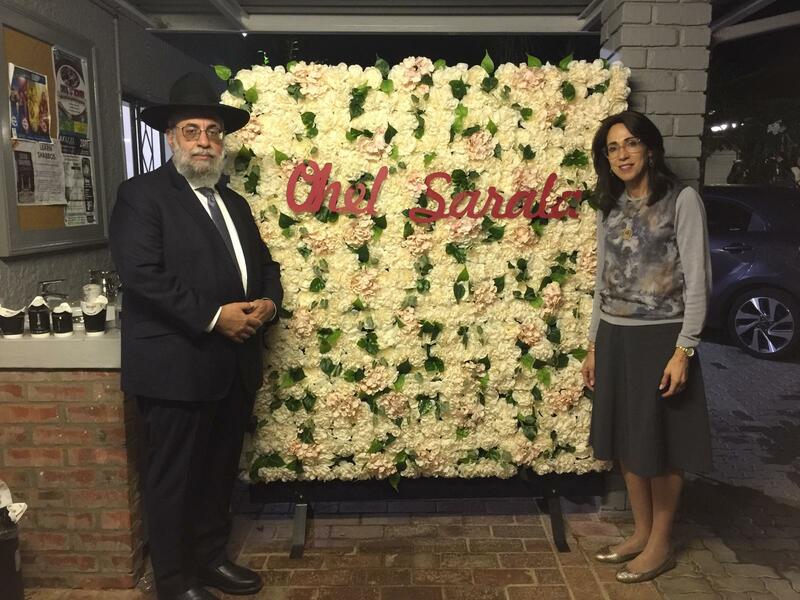 Only afterwards did we learn that following a soft opening of Ohel Sarala in South Africa several months earlier, it had already borne fruit, with three engagements only a few weeks after joining. Since one cannot go to any of the African countries and not take the opportunity to go to a safari and be amazed at the wonders of Hashem’s creations, our wonderful hosts arranged for us to spend a day at the Pilanesberg National Park, the third-largest safari in South Africa, about a three-hour car ride from Johannesburg. It was truly incredible to see all kinds of animals in their natural habitat, out in the open, when previously we’ve only seen them in cages at the zoo. However, long after the memories of the trip and the safari will fade away, the inspiration of seeing the excitement of so many Yidden who have committed to become a part of Ohel Sarala, all because of a few words expressed by the saintly gadol ha’dor, zt’l, in a private conversation with a friend, will remain with us forever. With the rosh yeshiva, zt’l, in his valued place in Shamayim, and with Sarala, z’l, at his side as they shep nachas from the hundreds of chasunahs and births taking place in Klal Yisrael, in New York and in Toronto and now in South Africa, we daven that their nachas continue as Ohel Sarala responds to the recent requests to open chapters in Antwerp, London, Los Angeles, and Chicago. May Klal Yisrael be always busy with simchas. This article was written l’zecher nishmas Sarah Chaya, z’l, bas Rav Aryeh Zev.